Everyone wants an Atlanta. Delta has built Atlanta into an incredible hub, a machine that pushes through an enormous number of passengers to feed the airline’s global network. Both United and American would love to have an Atlanta of their own, and for American, the best option is at Dallas/Ft Worth (DFW). An announcement last week marks the beginning of American making its move with a net acquisition of 13 more gates and a planned increase in flights of more than 10 percent. But if American is going to really want to turn DFW into Atlanta, there are some big decisions that need to be made. Let’s dig into DFW a little bit more with this awful artwork. No matter what you think about Texas, we can all agree that they tend to think big there. It may have seemed crazy when they plopped down an airport on some prairie way back in the day, but DFW is now one of the few airports in a big city with plenty of room to grow. The original terminal plan was for, I believe, 370 semi-circular terminals straddling either side of the central roadway holding 400 trillion passengers, or something like that. But when it was first built, there were just four. The original Terminal 2E (now Terminal A) was presumably named with the expectation that there would be another couple horseshoes to the north, but those have yet to come to fruition. Today, it’s a newly-renovated building that’s entirely occupied by American’s mainline operation. Terminal 3E (now Terminal C), just south of A, is also used exclusively by American. But Terminal C hasn’t been renovated and you could be mistaken for thinking you had gone back to the 1980s the second you step inside. Its future remains up in the air, though a plan should emerge by the end of the summer. Terminal 4E (now Terminal E) is better known as the one terminal American didn’t use. In fact, it was the home of Delta’s now-defunct DFW hub. Delta was bursting at the seams to the point where in the 1980s, the airport opened that little satellite building to hold more flights. Now E is home to pretty much everything that’s not American and not international (Update: American Eagle is using E35-38 now, go figure)… but the satellite has remained empty since renovations were finished on the main terminal. Terminal 2W (now Terminal B) was the one building on the west side when the airport opened. It’s now solely filled with American Eagle airplanes. American started running out of room, so it added on that weird growth-like stinger concourse on the northwest side to take advantage of empty real estate. B has 3 gates in the southeast corner that are connected right into the customs facility in Terminal D, so American Eagle flights from close international destinations don’t have to park with the big boys. But the place is running out of room again. Terminal D (would have been Terminal 3W if it had been open before the naming convention changed) is only a little over a decade old, and it’s the airport’s increasingly-busy international terminal. Overall, DFW has 165 gates and until now, American has controlled about 122 of them. Despite all these gates, American is hungry for more. The airline is planning on growing from around 800 peak daily flights today to around 900 peak daily flights next summer. It’s also going to gain a net 13 new gates. Here’s what’s happening. American has decided that flying on 50-seaters isn’t miserable enough. So the airline is going to pull some of those away from Terminal B and put them in the now-abandoned Terminal E satellite. The gates there will be reconfigured for regional jets, so the number will increase from 9 today to 15. But it’ll be used by those Embraer 140s and 145s you love to hate. If you happen to be starting or ending in Dallas, that’s not bad. But if you’re connecting, especially between E and B, get ready for a hike. With those airplanes moving out of Terminal B, American has a little room to play. It’s currently looking at extending the sterile corridor which connects the 3 gates in Terminal B to customs to a handful more. Those gates would be reconfigured (and 2 would be lost) to allow mainline airplanes to start using B for near-international and domestic flights. This gives American control of 135 gates at DFW, but it’s going to eventually need more. And it has to start making a decision on how it wants to make that happen. American has a few issues at DFW, and the first of which is what to do about Terminal C. It’s pretty awful, and American knows it. It pushed off the renovation back when money troubles arose, but it can’t keep doing that forever. The airline could pour a bunch of money into the building and make it passable, or it could just put some lipstick on it to keep it running until it can build a new facility. I expect we’ll know more about the plans for C by the end of the summer. Decisions needs to be made. But a renovation wouldn’t get American much more in the way of gates anyway. There have been grand plans in the past to create mega-terminals, but the easiest and most obvious solution would be to build Terminal F. Fans of symmetry would rejoice at finally having three terminals on each side of the highway with F on the west side just south of D. The footprint is, as you can see in that photo above, there for the taking. Taxiways were all designed knowing that something would be plopped right in there one day. That’s not to say that it will be cheap to build, but it should be a whole lot cheaper than some of the crazy things more constrained airports have had to do. If American really wants to grow, then the right thing to do is to pony up the money and build F. Presumably it could be built in a way that would net more gates than what C has today. Then C can be shuttered, knocked down, and eventually rebuilt to add a ton more gates to the airport’s overall footprint. We won’t see that happen for a long time, but it’s the kind of long-term planning that airports should be doing if American is serious about turning DFW into its own Atlanta. They also need to work with the airport to quickly respond to issues. The Skylink train went down on Sunday and walking was the only option within security (although the announcement mentioned that you could go to the curb and take the external shuttle, I don’t know why you would choose to play TSA roulette again). No quick action to get carts out and help folks make connections, and at least one people mover was down as well. As a matter of fact, there was a cluster of carts sitting between terminal A & C with employees lounging and heckling passengers as they schlepped by with all their bags. Poor management of a potentially huge issue for those who had to make tight connections. ? Employees heckling passengers?? Really?? Do tell. Yikes! I remember when the “not so Grand Hyatt” was Grand. Could someone please bring over my walker? I used to live in Dallas and fly out of DFW on a weekly basis. DFW is absolutely GREAT if you are arriving or departing from there and can get a cab/Uber/friend to drop you off or pick you up at the curb, as it was built in an era before airport security was a big deal, and built so as to minimize the distance from curb to check-in to gate (even these days, you can go from curb to security to gate in under 100 steps). If your trip originates in DFW and your return flight arrives at the same terminal your outbound flight departed from, the more expensive longer term parking by the terminals is reasonably convenient as well. DFW is a bit less convenient if you park off-airport or in the cheap airport-run economy parking, just because of the sheer size of the place, but not necessarily that much worse than other big airports. For example, DFW spends TWO MONTHS training the drivers who run the shuttle buses from the economy parking lots away from the terminals to the terminals, and that’s AFTER the shuttle drivers already have their commercial drivers’ licenses… Apparently it takes two months just for the drivers to learn the exact routes and get everything down, especially what lanes they need to be in when. I haven’t connected through DFW, but wouldn’t really be excited about it (I might take DFW over ORD, but probably not over ATL, all else equal), just because of the long distances to travel between terminals. Call me crazy, but for big hub airports I think the ATL configuration of parallel terminals connected by people movers and walkways in tunnels under ground makes the most sense, both in terms of the speed of moving pax and in terms of utilizing land. It was a given that American would try to gain as many additional gates as it can; building their hubs by adding spokes is where American and United are both currently focused. The satellite gates on E have not been used and AA could certainly put them to use but the plan is not ideal for several reasons….1. the enormous size of DFW means that some connecting passengers will be making very long walks and train rides to connect to everything. The fact that AA is going to put its smallest RJs out there confirms the poor location of the satellite gates for connections but it likely means that nearly all passengers will have to connect 2. AA CEO Parker previously said that DFW is very inefficient from a staffing standpoint for AA because of its sprawl and that AA’s higher labor count for the similar amount of revenue as DL and UA which have thousands of fewer employees is partly because of DFW. 3. As fuel costs increase, AA’s strategy (as with UA’s) of adding flights on regional jets might backfire. The 2009 fuel price spike was a key factor in the first large drawdown of small regional jets. While AA is not adding small RJs, they are not using their increased number of large RJs to reduce their small RJ counts either. You are right that the only real solution is to build an all new much larger terminal at DFW and consolidate operations that are spread over several other terminals but that is unlikely to happen because it would likely end up being the most expensive terminal project in the US. AA at DFW will be a massive, inefficient operation for connections but for now there is room to make it even larger. How do you travel between terminals? Are they all separate like LAX or JFK or can you walk between adjacent terminals (like A and B)? What about non-adjacent terminals like A and C or A and a potential F? I seem to remember a trAAin solely because of the AA crammed into the word, what does that do? You can walk between all terminals except E and can take the train to all terminals. The train runs in both directions, making inter-terminal transit very quick. It is also already set up for a potential terminal F to be built around it. They put the trAAin out of its misery back in 2005 when the SkyLink was built. I think the max transit time using the SkyLink is in the 10-12 minute range. Add about 10 minutes for walking if you’re in the Satellite E gates. It’s a far cry from the bad old days when the choice was either walking or using the inter-terminal buses and re-clearing security. They need some sweet cowboy music on the train like they have at Denver. I love that little guitar riff! Personally, I’m quite fond of the music and funky light show at the underground walkway in DTW (Detroit). I don’t use drugs, but I can imagine that going through that area while tripping on something would be quite the experience. To be clear, to add to the other comments, the current SkyLink train is all within security, so it’s arguably not that much different from connecting in Atlanta, other than that the time you spend on the train is longer because it has much greater distance to cover. But, it also has the downside that if you are a DFW local and want to park at the terminal while flying AA domestically, there’s a good chance you will arrive back at a different terminal and will no longer be at the terminal where your car is parked. If you have carry-ons only that’s fine as you can just take the train to where your car is, but if you have checked bags you have to exit security where you land and then take a landside bus (since AFAIK there are no landside walkways, even though there are airside ones, and the east-west terminals are actually quite far apart, crossing a massive highway system) to the terminal where your car is. The major difference between DFW and every other major connecting hub is that gates are on only one side of the concourse or terminal in DFW and two in every other hub. Basic geometry shows that you have to cover a larger amount of distance to get between two pieces on the five semi-circular shaped terminals than you would in terminals/concourses that have gates on both sides of the terminals/concourses. Given that there are two train stops in each terminal, there is also a very high likelihood that you will have to walk a significant distance to/from the train stop, again, far larger than you would cover in any other terminal covering a multitude of combination of gate connections. Despite being one of the newest built from the ground up airports, DFW was not designed for connections even though more than 60% of the passengers flying thru DFW are connecting on American. The max walking distance from gate to skytrain is less than max distance pax has to walk from gate to train at ATL. Will American looking to strengthen its fortress hub at DFW, allow Southwest to make the argument that they will need more gates at Love-Field to compete? UnclePinkeye – That opens quite the can of worms for Southwest. It may decide to push that at some point, but it’s hard to see how that’ll be accepted by all the parties involved in the original settlement. The best case scenario is that it gets something pushed through but it takes decades and burns a lot of bridges. Isn’t the agreement that limits AA’s operations at DFW and WN’s at LUV due up in the -20s? mid-20s perhaps? Problem is that Love Field is operating at maximum capacity right now based on the ruling that WN cannot add flights to its 18 gates until/unless the request by DL for more access is resolved. The case appears stalled so perhaps WN is content not to grow DAL and DL is content to have its foot in the door with just ATL flights. It will be very interesting to see if WN makes a move to grow at DFW; they typically avoid legacy carrier hubs if they can operate from their own hub at a less-used airport – but the Metroplex is unlike any other market in the US. Tim – Yes, in 2025 Southwest can fly from other airports in the Metroplex without having to give up gates at Love. (American had the same provision but it doesn’t matter since American already gave up its gates at Love during the merger.) But the limit on 20 gates at Love is permanent, so Southwest would have to look at another airport where it would want to build up a new operation. That seems unlikely to happen at this point. Well the one thing you might say about DAL is nothing is permanent, it just needs to be renegotiated. And most likely it will be…what a sh*tshow. The 20 gate limit and no international flying is a Federal Law. A new Federal law would have to go into effect to supercede that. Both Houses of Congress, POTUS signing. Not saying it couldn’t happen, but that’s a long arduous process. The restrictions on flights out of other airports goes away in 2025, that is based on the 5 party agreement with American and the 2 Cities. I’d like to see them expand into both TKI and either FTW or AFW once the provision expires in 2025. The metroplex has nearly the same footprint as the LA Basin, currently with DAL, I’d imagine not many in the Fort Worth area are willing to drive past DFW to get to Love. It would make sense for WN to try to break into that catchment. TKI also makes sense because those northern suburbs are quite a haul to both DAL and DFW and that is where the Metroplex is expanding toward with all the Californians moving in. Think about how Southwest uses airports in the LA Basin. It has one primary airport at LAX. Then it has regional airports which all look pretty much the same with mostly short haul flying to key regional destinations within a couple hours. (There are a couple exceptions.) In Dallas, you’d think Love would be the primary, but it can’t grow any further. Any of these other airports might make sense but more likely as a regional operation thanks to their locations. I’m not sure this works out as well as some might hope. We are regular international flyers from El Paso through DFW. We have learned to plan carefully regarding DFW and making connections. Outbound we always allow at least three hours for the connection…and usually have more time, but we are Admiral Club members so that softens the wait time somewhat. But, it is the return that requires careful planning, so we no longer fly into DFW from Paris or London and then try to make a same day connection. After a couple of very frustrating and painful experiences several years ago, we now arrive at DFW and then simply stay overnight and make our connection back to ELP the next day at a civilized morning hour…the only added expense is the overnight hotel and it is well worth it. Why the overnight? Well, American in its infinite wisdom has what seems to be the majority of its incoming international flights arrive in Terminal D during a 90 minute to 2 hour window each day. While I may exaggerate just a bit…check it out: London, Paris, Frankfurt etc….multiple flights from Mexico etc. all come into Terminal D in a tight afternoon window. On some occasions I have entered the Passport Customs area only to find a huge multitude of people backed up with no hope of ever making their connections. Now that we don’t have to face that problem…we pass through Global Entry…pick up or luggage (when it finally arrives) and then head off to our hotel for the night. Makes a really big difference. You might look into the international arrival schedules at DFW and other similar gateways and check out the challenges of making on-going connections. Airports are built for two reasons: Air travel; and to give people something to hate. DFW might be an imperfect behemoth, but unlike many others, it was built with an eye on the future, and to intelligently manage multitudes of flights and passengers. Savvy travelers understand an airport is not a bus stop or a subway station and will take five minutes to research it online or download the quite good DFW app. There are really only two good things about Dallas: leaving; and DFW. Yes, American is crowded at DFW and needs to figure out what to do next. But they at least have a good template and far more options than at most other airports. For those of us familiar with dfw unlike the writer of the article… For fliers terminal C is the main terminal. It had the best arrangement of spots for food and is the most convenient for flights as most of your flights will be there. Making it harder for those at the airport there to travel to eat quickly than the recreational passenger that thinks they are at a mall to have a meal at a sit down restaurant before they leave. It’s an airport it’s meant to be functional and fast if you want decor go to an art gallery. Atlanta Hartsfield Jackson International Airport is The Worlds Buisiest Airport for 22 Years Straight, for Good Reason, it is like three d/fw Airports in One ; Sirriously!!! Drive Your Car outside “The Airport”, and you Will see 3 d/fw Airports ; landings and take~offs ; “streams” of planes,…it is like compareing a BMW too a 80’s Chevy ;.Delta is Class!!! ; on a simple note, compare Deltas Comercials ; CLASS! ; it is like compareing New York too, well Garland, WELL i Love Dallas, lived 28 years their ; but, like Atlantas Cobb Pkwy ; operating with a 1970’s Design(2 lanes on each side, should be 5, with turn lanes, and Light Rail), 20 times, worse than, 1989 Central Expressway ; d/fw is why i am doing a “pass on dallas” ; like how you let other architects, and developers ruin Fountain Place ; too Twins turned at 90°, now “ruined”, bye austin’s, page southerland page…also InterFirst(b.o.a. ), Gold Rolex Twin Towers, …Dallas has no SuperTalls, 984 ft., yet your population will pass chicago in less than 10 years ; Build a Super Airport in Southeast Dallas, Segoville Area, South, start~over!!! BEAT ATLANTA at their OWN GAME! ; Atlanta, like Delta, is “Light-Years”, a h e a d of d/fw and american ; and with CLASS and DETERMINATION/i n v e s t m e n t!!! I didn’t know the Atlanta airport had a blog-commenting bot. That’s not entirely accurate anymore. With the SkyLink, I think it’s about 10 minutes max to ride between the two. It IS somewhat of a hike if you have to go from the Satellite E gates over to B, but you’re still only talking 20 minutes or so. No worse really than having to get to the T gates at ATL. AA won’t build terminal F. They will foot the bill and ultimately will be paying for OA to receive more gates in the end. One of ATL’s biggest draws is the linear terminals. It makes getting from T to F a breeze and it’s more efficient with gates on both sides of the concourse. DFW can’t have that and the result is some really long hikes from terminal to terminal. That’s why DEN and DTW both copied ATL’s design of parallel linear concourses. Besides, can anyone have another Atlanta? It’s location works great for both North/South and East/West connections. DFW can’t be used as a stopping point between the heavily populated Northeast and Florida like ATL. southbay – Nobody can duplicate Atlanta, but DFW is American’s best chance at getting something close to it. I have avoided DFW as a connection city since the late 1990’s. Until a totally new, user friendly terminal is built that combines all of AA’s flights & gates, I will continue to avoid it. Since no plans are in place I assume I’ll never be back. 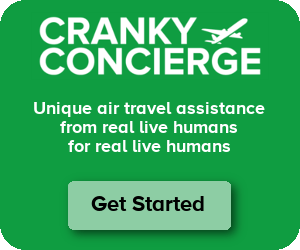 It’s horrible for connections, straining Customer Service, baggage transfers & efficiency. I’ve never been through DFW. The layout overwhelms me and I know about the train and all that rot but I went through IAH twice and those spread out terminals were enough for me. I purposely avoid those two airports and willingly pay more. DFW is an airport that was built with the car in mind. For starters they have a highway running right through the property, but also a very short vehicle to gate walk. Not as bad as MCI but squint your eyes and you can see similarities. The only reason the airport works as a hub is that there is ample real estate to build out massive linear terminals and its a mega city with tons of O/D traffic. Drop either of those and it wouldn’t be a hub. Like it or not the ATL concourse layout has become the gold standard for high volume hubs that move a ton of people. DEN copied it. DTW copied it. ORD is trying to copy it. LAX wished they had it. JFK wishes they had anything other than what they have. Other comments have covered a lot of what I’d want to echo. Simple fact of the matter is in a hub you’re moving people between planes and at DFW those planes can be miles apart. No amount of skytrains or other means will make them more efficient than ATL. My radical idea would be to bury International Parkway and connect the east/west terminals into a concourse layout. Now that would be a mega hub on a scale similar to Beijing or Dubai. Bury the Bob Crandall Toll Road? Shirley you jest! He is serious… and don’t call him Shirley. Any word on how well Spirit is doing at DFW? Growing, declining, or even? John – Spirit is growing, but ever since American focused on actually being price competitive with Spirit, the airline has focused most of its growth elsewhere. But it still sees DFW as a place to grow to some extent. Oy, transiting from Terminal B to Terminal E is rough. I’ve had to do it a couple of times connecting to/from AA to Alaska. Great assessment of DFW. I had not flown through there in a decade or more but will make 3 trips in first half of this year (with help from Cranky Concierge on one of those runs!). Of course DFW welcomed me back by making me sprint and change terminals the first time due to a delayed flight and an already tight connection. Glad I’m not the only one who thinks Terminal C is a crowded relic and that the logical (and symmetrical) thing to do would be to add a Terminal F on the West Side. I drive taxi DFW associates have no respect for taxi driver at all even the manager is rude the night dispatcher always tries to intimidate drivers by yelling at them if they have to ask question. Couple days ago the same night dispatcher lady called me lier more then five time when I told her I was told to move to other terminal. Sure, time forgot Terminal C, but it’s got something that more than makes up for it: The DFW Employee Store! Tons of cool airline swag, including a bunch for now-defunct airlines. We scored a set of decommissioned AA first class espresso plates, cups, and spoons with the old AA logo on it for dirt cheap. Open to the public, they just won’t sell anything which could be used to impersonate airline staff to us regular joes. Everything else is fair game. Located at the far end by C2. Definitely a cool place to kill some time. What could United do to have its own Atlanta? DEN seems to be a good domestic hub, and O’Hare is getting a lot of updates in the next few years. One problem with both though is the amount they are affected by weather. Anthony – Well United doesn’t really have an option like Atlanta. Denver seems good, but Southwest is a big and growing competitor there. It doesn’t have the dominant position. Forget Chicago, because American is there (as is Southwest on the other side of the city). Houston may be a bit closer, and it has the population there as well. Sure, Hobby is big for Southwest, but it’s not the same as the other locations. There’s just nothing that’s as obvious as it is for American. What could United do to replicate Delta’s hub at Atlanta? DEN seems to be one of the hubs with the most potential. Perhaps it could be beefed up more – especially domestically? DEN is too high for international flights. It has to be IAH. Fighting WN down south at HOU, but United has no other position nearly as strong as IAH. I have to say I’m quite surprised at all the negative comments. DFW is one of my most frequent connecting airports, and I like it. Granted I would never recommend <90min domestic connection, but I wouldn’t in ATL either. Going from one end of T to one end of C by train plus a hamburger took almost 90min on a non-holiday Friday night. I couldn’t believe it. ATL’s gate seating is also way too small, but that is a problem at most US airports. The DFW terminals have two Skylink stations each with two entrances/exits, so it’s rare I walk more than 8 gates in the terminals. As someone who has flown a lot between DFW and ATL as O&D and connected at both as well, I think people are being a bit dramatic about the difference in connecting at DFW vs ATL. It might take a couple more minutes to get from terminal to terminal but nothing significant at all, and DFW is a much more pleasant environment for waiting for a connection, as it isn’t as crowded, either at the gate or between gates. That said, an A to satellite E connection is pushing the boundaries of reasonableness a bit, although still not sure that it is that much worse than the worst case DL connection in ATL (end of concourse E to end of terminal T). International is really a different matter – transit time is never going to be a major issue in driving missed connections, going to be far more about customs / baggage / TSA. To me, the O&D difference between the two is much more significant than the connection difference, with DFW having a clear and big edge (even when flying out of concourse T at ATL). In my experience, there is not a better O&D experience than DFW, at least not at an airport of any size, if you are taking a taxi / uber / car service, being picked, or using the valet service. If you are parking at the terminal but not doing the valet, then it is, at worse, comparable to ATL on the return end. Now, I absolutely buy the argument that DFW is quite costly to operate, in terms of the airline and airport / security staff required to operate across the sprawl. ATL is also a more intuitive airport, and I am sure uses land more efficiently. Taxi times at DFW can be quite immense, but I would guess that pushback to take-off times are still probably better than at ATL due to the frequent, massive queues of planes waiting for a runway. Which, actually gets me to a slightly unrelated point, it seems US airports use runways much less efficiently than in the UK. Take ATL, it had 880k operations across 5 runways, or 176k per runway. DFW had 673k across 7 runways – 96k per runway. JFK had 446k across 4 runways – 112k per runway. ORD had 867k across 7 runways – 123k per runway. LAX had 700k across 4 runways – 175k per runway. In comparison: LHR had 476k across 2 runways – 238k per runway. LGW had 286k across 1 usable runway. Now, obviously this is a simplistic analysis since some of the runways cross each other or must be crossed (and both airports have been lobbying for more runways for decades), but it is still striking. Especially when most of the factors I can think of suggest LHR should be less efficient: 1) greater mix of wide body traffic (aside from JFK). 2) greater use restrictions (I would think). 3) Surely a more complex air traffic environment than ATL, DFW, ORD, and probably LAX given 5 major airports serve the London area. I am sure there is some logical explanation for this; I just don’t have the slightest clue as to what it might be. Definitely agree about O&D at DFW if you are getting a ride to/from the curb. DFW is by far the best medium or large airport I’ve ever experienced in terms of being able to get from the curb to the gate quickly, and is even faster than many small airports only served by RJs. It’s also nice having the option of multiple security checkpoints that are reasonably close together. If the security checkpoint closest to your gate is pretty backed up, walk 3 minutes and try another one. In terms of “wheels on the runway” to curb time for mid-sized airports and bigger, my money goes to TPA (Tampa). I once timed it at 12 minutes from the time the wheels hit the runway, through taxi, deplaning, taking the little monorail tram, and getting to the curb, and I was sitting towards the back of the plane. LGA can be crazy fast… it may be a bit of a dump, but it is compact. Yeah, but then the ridiculous (at peak times) cab queue and very limited (and slow) public transport options render the plane-to-curb advantage meaningless. Tim – On your runway point,I think a lot of it is related to how much you can use runways at one airport versus another, as you mention. At JFK, for example, there are two sets of parallel runways that a perpendicular to each other. So it’s not like Heathrow where you have two runways going in the same direction. But still, they do have tremendous throughput in those airports with the concrete they have. It’s just not as pronounced as it may look. It looks like something is being built where terminal F would be and it looks like the other terminals….the construction gets bigger every time I go by it….is DFW building it on its own? To attract more airline service? There are always 140/145’s at the international terminal 3-5 at a time especially when the international carriers are in….American taking over Gilligan’s Island will give more gates but its a long haul to the main terminal….connecting wont be easy if you come into Terminal A and have to leave out of the new gates….it seems like both moving side walks are never working at the same time….its a long walk either way you go….the airport is now surrounded by houses, apartments etc so there is no room to grow…. The only possible solution I could see is tear down the old Delta hanger now used by AA and build a long terminal like Atlanta has….when it opens, move airlines out there then start remaking the current terminals…. From the pageview counts, looks like CF picked a topic a lot of people want to talk and read about! This should be one of the most popular recent topics on CF. Hey now…I love C from a nostalgic point of view. But alas, it dosent have that Mall with Planes allure so she’s doomed. All these proposals are fine and good but simply kick the can out another decade. If AA wAAnts AA functional cAAsh cow they are going to have to abandon the hoop earring model and pull off a MCI. A central terminal on the north or south side of the complex with a Texas sized parking structure and trains running where the current access road sits. Since parking in the semi-circle would no longer necessary, they can be built out to accommodate more retail and ops space. For a region that loves to brag about having more money than they know what to do with they need to stop looking at cheap, quick fixes. On the 3rd floor (I think) of AA HDQ1 there is a handsome rendering of the re-imaged, never built DFW operation – 1 long terminal I believe. That picture has been there since the Crandall days and it’s still very interesting to study.